From its lush hinterland to the sea, the Byron Bay Region has the perfect infrastructure for cycling. Bicycles are a popular form of transport in this part of the world and there are many bike tracks which are easily accessible to locals and visitors alike. 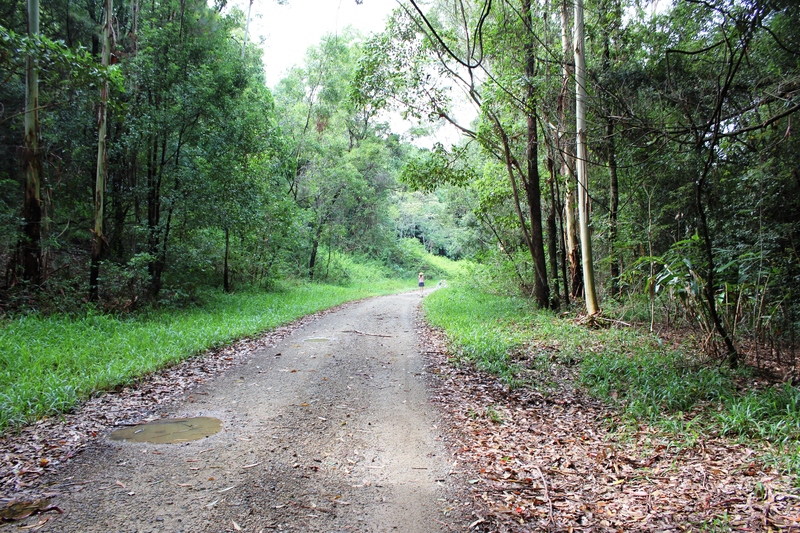 Byron Shire Bicycle Users Group (Byron BUG) provides extensive information about cycling in the area, so why not give one of these 4 rides a try? Don't worry if you don't own a bicycle, these can be hired at Brunswick Heads Visitor Centre - just be sure to give them 24 hours notice. 1. Bruns to Byron Beach Ride - 13kms, 1.5 hrs. This classic beach ride is truly magical. At low tide, you can easily ride all the way from Brunswick South Wall to Byron Bay along the hard, flat sand. About 3kms north of Byron you might get wet feet crossing Belongil Creek, where you will need to avoid resting shore birds. Just remember to hose your bike down afterwards to protect it from salt damage. 2. Tour de Bruns - 8.5kms, 1 hr. Not only does this ride have a great name, it is an ideal way to get a feel for this quiet fishing village, just north of Byron Bay. Start at the Brunswick Heads Visitor Centre at 7 Park Street, Brunswick Heads. Ride south past the school, then right into Nana Street, Left into Tweed Street and follow the shared shady path along Simpson's Creek past the Bowling club to the sports fields (with BBQs and a playground) and return (1.6kms). Turn left into Nana Street, Right into Byron Street, left into Booyun Street and follow the nature reserve around the back of town. Right inot Cudgen Street, Right into Fingal Street, Left into Byron Street, left into Tweed Street following the shared bike path past Boat Harbour and Fishing Co-op (great freshly caught fish and chips) and continue to roundabout. Bear right to the Brunswick River bank below Durungbil Bridge. Ferry Reserve boat ramp has picnic tables for refreshments (if required). Follow the shared path back into town. 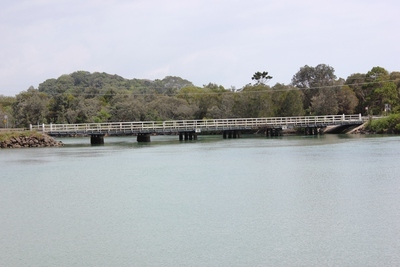 Left into Mullimbimby Street, cross bridge to Torakina Beach (gentle riverside spot perfect for kids to swim) ride out to the break wall for views to Byron Lighthouse, Brunswick River and Hinterland. 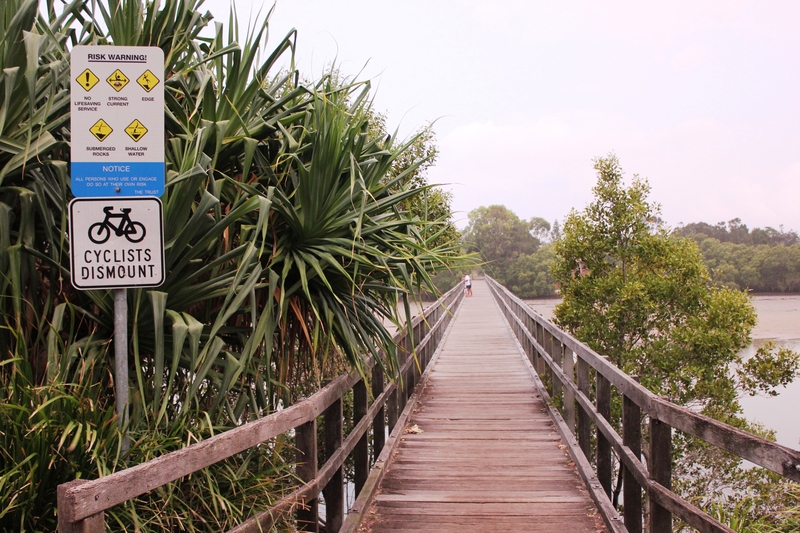 Continue right into South Beach Road, right onto the footbridge just before the Community Centre where you must dismount to cross the bridge across Simpson's Creek. Continue onto Fingal Street then right into Park Street to complete your "tour". Congratulations, now you may don a "yellow jersey" gobble down some Sticky Fingers Pizza, guilt free. 3. 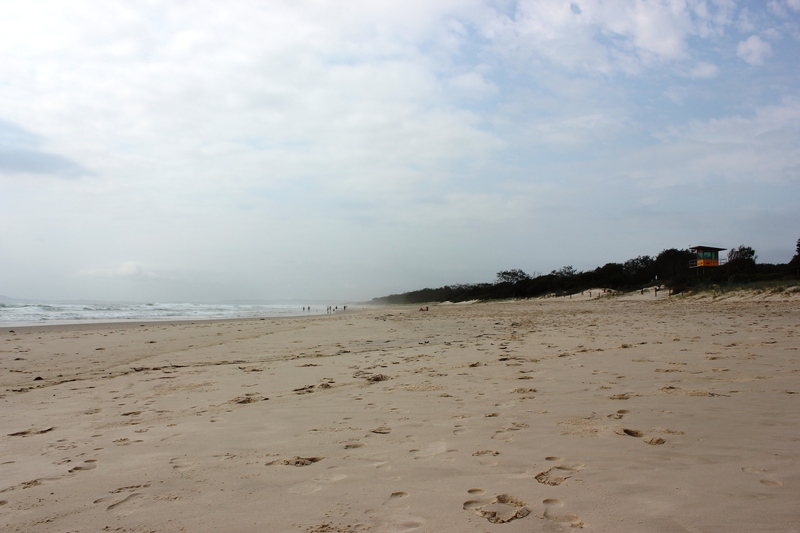 Byron Bay Tour - 19kms, 2 hrs. This ride is also the perfect way to become acquainted with Byron Bay township and its surrounds. Start at Byron Bay Surf Lifesaving Club in Bay Street. Follow the shared bike path east through the parklands, past Byron Beach Cafe (a great place for a stop off) continue uphill following the signs the the Byron Lighthouse. 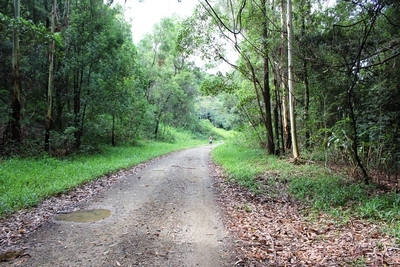 Follow the road back towards town, turn left into Massinger Street, left into Short Street, right into Patterson Street, left into Bangalow Road, follow the shoulder and shared path past the High School, turn left by the gate. 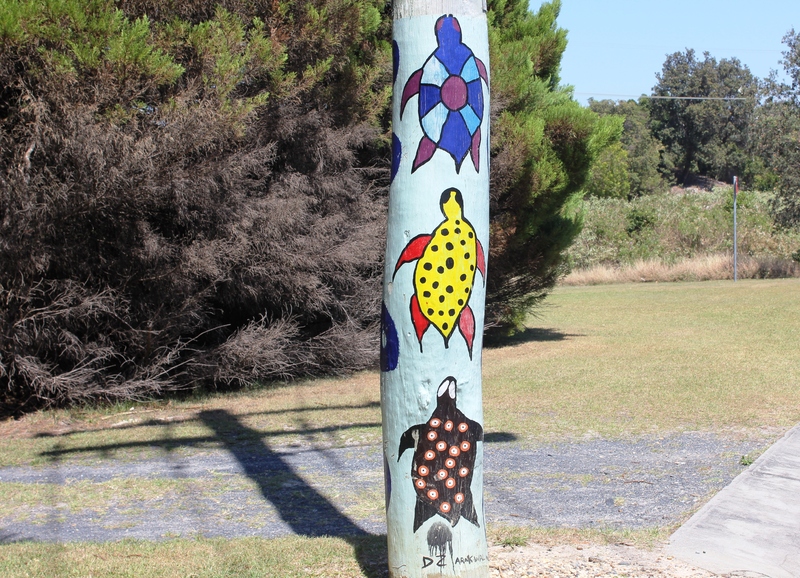 Follow the path across Tallow Creek and behind the dunes to Alcorn Street, right into Clifford Street to Suffolk Park shops and pub. Return by same route, continue on Bangalow Road straight through the roundabout, left at Marvell Street, right into Fletcher Street, back to the Surf Lifesaving Club. 4. Scenic to Billinudgel - 21 kms, 2 hrs. A slightly more difficult ride, requiring strong legs for the hills, this ride takes in some natural and historic highlights of the region. 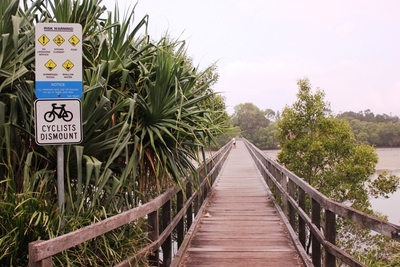 Start at the Brunswick Heads Vistor Centre, ride north along Park Street, left into Fawcett Street, right onto the shared path beside Tweed Street, follow the path to the roundabout. Cross the Durungbil Bridge, turn right into Rajah Street.Climb the steep hill, turn second left into Warnambool Street, second left into Tongarra, left up to the Lions Lookout for excellent views to Byron Lighthouse. Retrace Tongarra, left Warnambool Street, right into Orana Street roundabout over the bridge and left at the esplanade. Cross to shared path at New Brighton shop, right into Redgate Street and follow the shared path to Pacific Street. Take the third right into Gloria Street, right into Beach Avenue, left into Shara Boulevard, left into Koloora Street and right into Old New Brighton. Ride through the Nature Reserve and across the Pacific Highway via the old bridge to Billinudgel (home of famous Humble Pie Factory and the classic Billinudgel Pub). Cross back over Pacific Highway via the footbridge and follow Balemo Street to Orana Street, cross over and climb Karinga Street, left into Coomburra Street, right into Warnambool Street, right into Rajah Street onto the shared path at the roundabout. Pass the Boat Harbour and Fishing Co-op and return to Visitor Centre. Hope the legs aren't too tired, but the views are worth it.